The scientists have done the major breakthrough at Tel Aviv University to create the three dimensional and fully vascularized human heart. The researchers have created the bio-medically engineered heart with the use of 3D printer that uses the cells and biological material from the patient. The 3D heart is modeled on the human patient and it changes the immunological, biochemical, cellular and anatomical properties of patient. It is developed from human cells and the materials of patient specific – biological materials. It means that the heart has been printed in full form with blood vessels, cells, ventricles and chambers. It is the big development as the last attempts were made to print simple tissues without vessels. 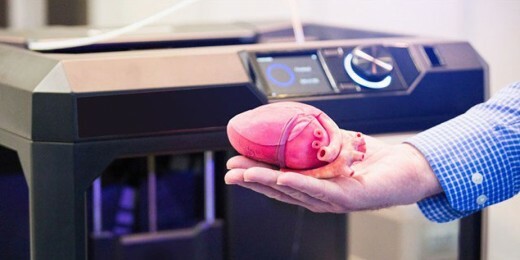 The 3D printed heart has the size of the heart of a rabbit and this invention is the harbinger for transformation of transplant medicine and it can save lives of thousands of patients, who are waiting for their heart transplants for their end stage heart failure every year. The process regarding creation of engineered heart is started with biopsy of fatty tissue obtained from the patients. The cellular material was used as ‘ink’ for print job and it allows the creation of complex tissue models like cardiac patches. 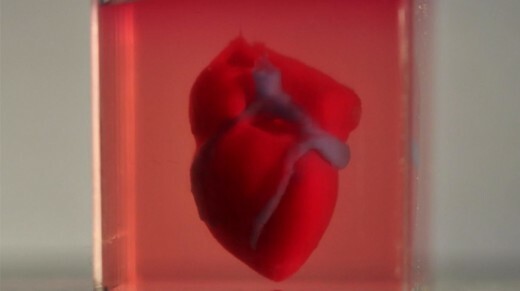 This 3D heart can contract only but the scientists intend to redesign heart to make it operated like the real organ. When it is completed, they will try to transplant this heart into animal models.